TUPLUS X2 aluminum carry-on suitcase delivers a very modern and stylish way to hold all your travel items, and you will never worry about it being damaged during your travel. Like the design? Let’s continue checking. The X2 is beautifully crafted and versatile luggage that measures 22.8 x 13.8 x 7.8 inches and weighs 9.3 pounds. 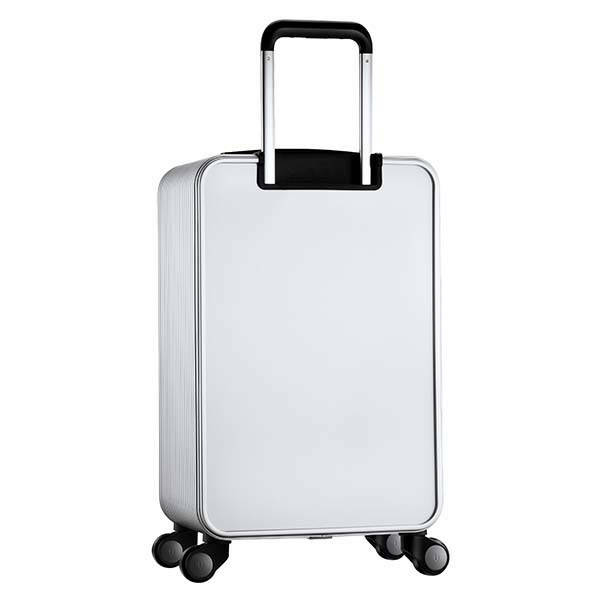 Unlike most luggages made of polycarbonate, the carry-on suitcase is built with aircraft grade 6 aluminum and magnesium alloy for a solid construction and premium feel. With three optional metallic finishes: silver, black and rose gold, the suitcase meets more personal preferences. Meanwhile, the exquisite detailing complements to the minimal elegance. The 20-inch carry-on delivers a large inner compartment to accommodate all your travel essentials, and a zippered privacy layer is designed to hold some valuables. Furthermore, its hydraulic hinges create more packing space and less suitcase weight. A built-in TSA lock is embedded into the frame in order to securely keeps your items in place, while its one-touch open system lets you easily access your items by just pressing the lock on the top. Moreover, the adjustable one-piece rod with textured ergonomic handle allows for reliable and strong handling, and its single-row Mecanum wheels provide smooth travel transitions and movement. 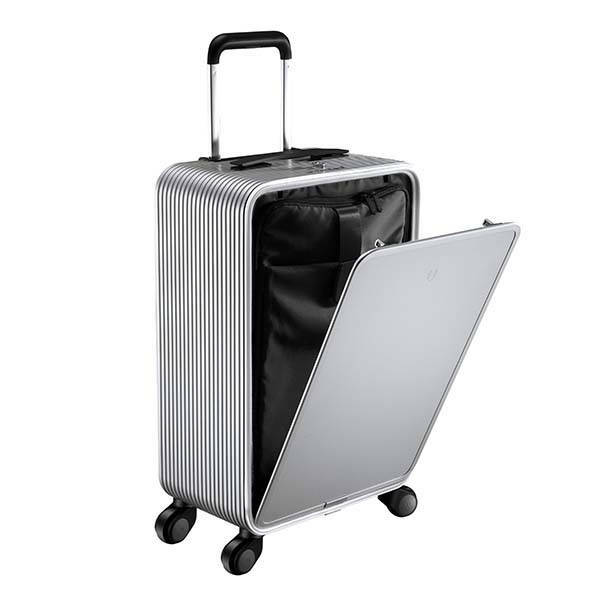 TUPLUS X2 aluminum carry-on suitcase is priced at $529 USD. If you’re interested, jump to Fancy for its more details.